Hi, I'm Savannah Bushnell and here's what's going on around town for kids like me. 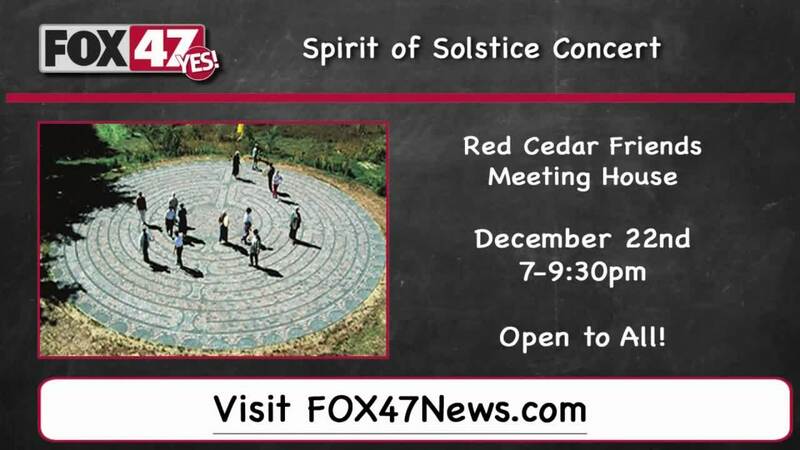 Celebrate the goddesses of winter by going to the Red Cedar Friends Meeting House on Saturday December 22 from 7 to 9:30pm. Hear great Celtic and original folk music, poetry and song celebrating the goddesses of winter. My name is Savannah Busnell. Now back to Fox 47 studios.